Christmas and New Years Holidays are all about spending time with friends and family. This often means enjoying the good life a little too much! Whether you’ve packed on a few kilos or let your exercise regime slip – now is the time to get your health back on track for 2018. But why not get the whole office involved while you’re at it? As staff trickle back from their leave, it’s important they enter a positive, energetic & motivated environment. One way to boost energy levels around the office, is to capitalize on the ‘new year, new me’ mantra. Here are 5 ideas to get your team feeling fab after the holidays. After coming back from holidays – sitting in a conference room for an hour staring at a powerpoint, isn’t exactly engaging. Consider holding standing meetings that take place outside. Make some time for staff to share funny stories of their holidays. Hold an impromptu yoga/meditation class. Mix things up a bit, so your staff will be pleasantly surprised when they return. Breaking the script helps disrupt routine, reduce complacency and provides staff with memorable experiences. It can also help improve morale and team well-being. There’s mounting evidence to suggest that improving morale and wellbeing can boost workplace productivity. So aside from giving you more engaged and revitalized staff, breaking the script may also help your bottom-line. Coming back from holidays and seeing 500 unread emails is not a pleasant feeling. Aside from feelings of stress, it can also lead to a scattering of attention and ‘multi-tasking’. Unfortunately, this isn’t healthy (or productive) behaviour. While standing up, close your eyes and focus on your breathing for 30secs. For the next 30secs turn your attention to the next task. Focus on the type of energy you need to complete this efficiently. Open your eyes, sit down and start on the next task. In only 1 min you’re able to focus on the present and de-clutter your mind. A recent study on the effects of meditation shows major improvements in psychological and physical well-being. These mindfulness approaches offer relief to humans’ immune systems and ease everyday stress. In other words – happy mind, happy body. Dr. Elissa Epel, Psychiatry Professor at the University of California, San Francisco and co-author of the study, noted that short breaks throughout the day can boost staff wellness. Along with the joint participation of leaders and staff members in corporate wellness initiatives and engaging in mind-calming activities at a certain distance from work is another important strategy – encouraging downtime. In an era when people are continually bombarded with information, the need to disengage has become even more crucial. As a trainer on corporate productivity stated in an article published in the Harvard Business Review, organisational leaders need to implement policies that support a healthy culture, one that acknowledges just how essential downtime is to employees. Unfortunately, many employees have developed the habit of constantly checking their email beyond work hours, often out of fear of missing out on something urgent from their colleagues or higher-ups. In so doing, they tend to miss out on the essential downtime that their brains need. The downside to instilling a 24/7 or “always on” work environment is that it may impede the creative thinking flow. Having a month of letting your diet slip, and going back to eating the cheap Thai takeaway won’t do wonders for your health. To ensure your staff don’t suffer from that post-lunch food coma – why not provide healthy snacks and lunches? You could bring a chef into the workplace, or go with a healthy caterer who can provide your staff fresh meals. Some workplaces even get nutritionists to build personalised plans for each staff member. As with most things – change has to come from the top, so make sure executives are setting good examples of healthy eating! 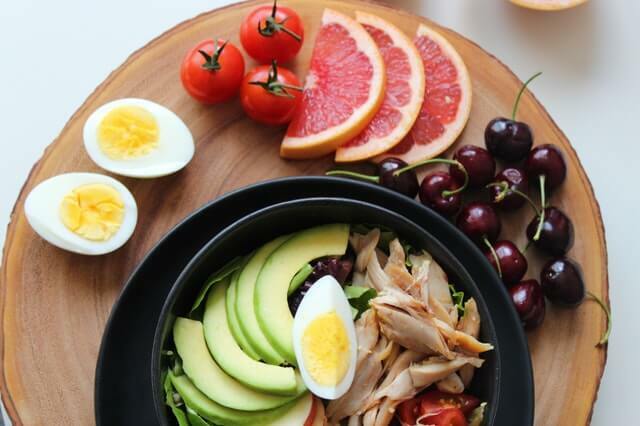 In place of fast food combos and sugar-laden pastries, company heads may place orders for healthier meals to be served during meetings. A qualified naturopath and nutritionist noted in a blog how modern offices now go the extra mile to encourage good dietary habits and the wellness of their employees. There’s no better way to get rid of those love handles than an intensive 12-week health challenge. Having prizes (corporate massage), hosting boot camps and monitoring body composition can help keep staff motivated throughout the work day and track their progress. It’s an amazing feeling when staff are able to achieve their health goals in such a short-time. It’s also important to help flag ‘high-risk’ staff. Health challenges can uncover high blood pressure that was otherwise unknown by the participant and ensures they receive the appropriate medical intervention. Fun seminars and guest speakers help get the whole office involved (even those who aren’t entering the program). A 12-week health challenge is a great way show your team you value their health and wellbeing – and the perfect way to kick off the new year. Having staff feeling energised and healthy is a great investment for your business. The new year is often the best time to maximise compliance and get the whole office on-board. 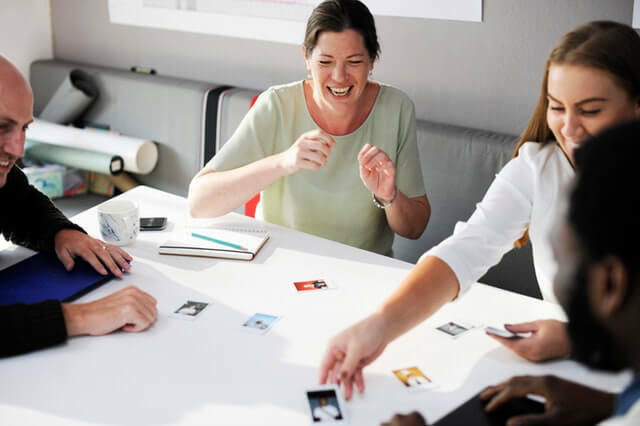 Breaking the script, mindfulness activities, healthy eating and a health challenge are some ideas to get your team healthier following the break, and boost morale.